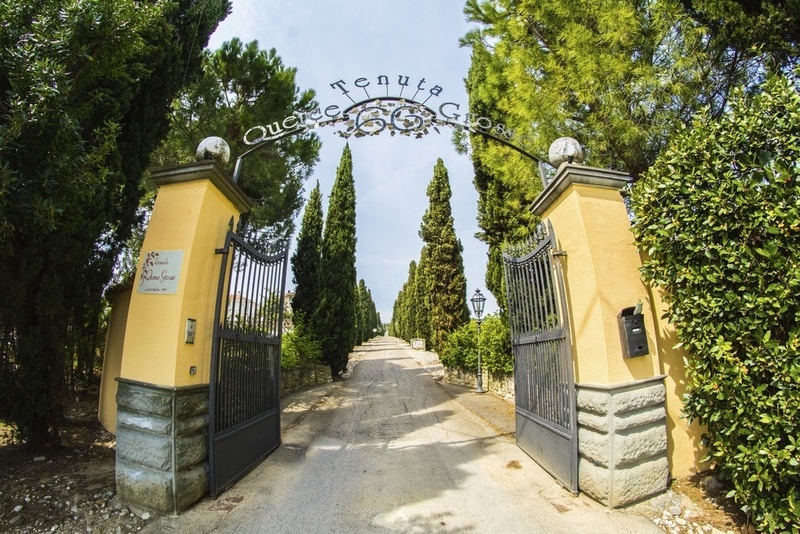 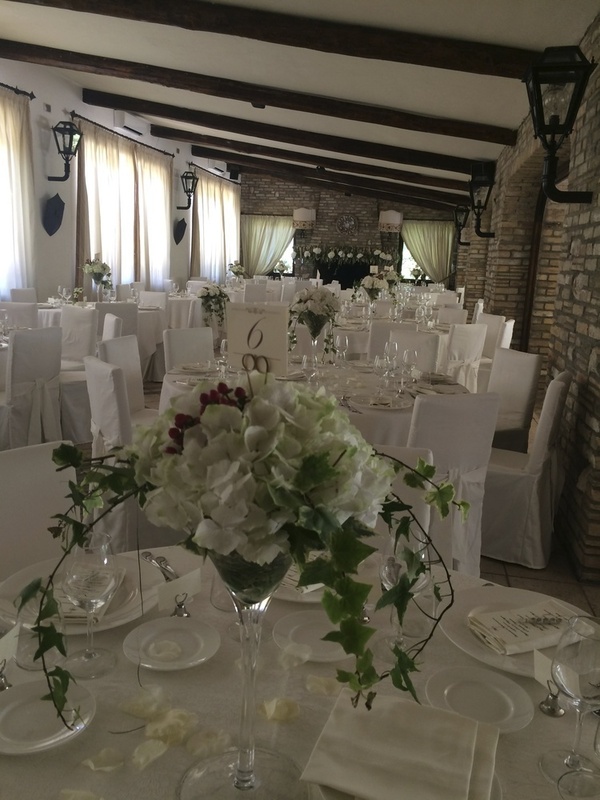 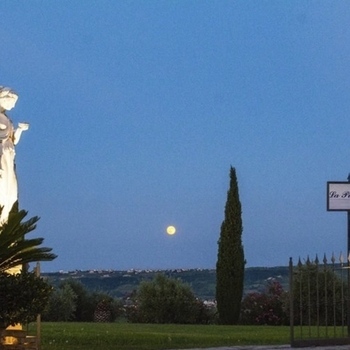 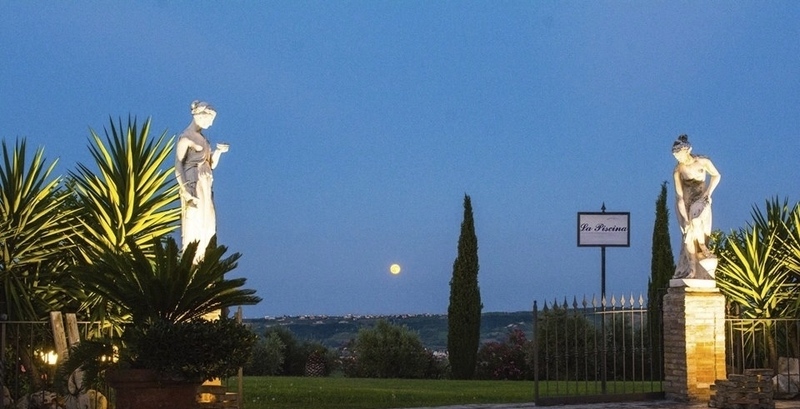 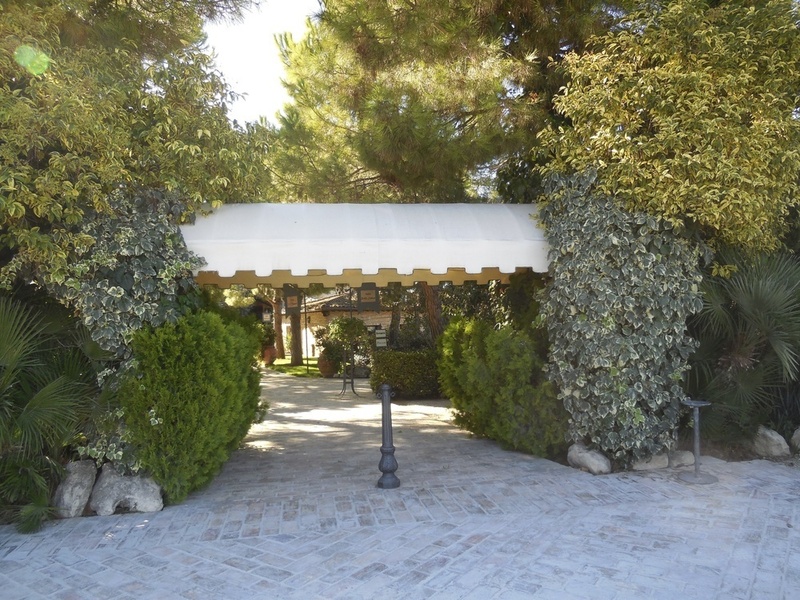 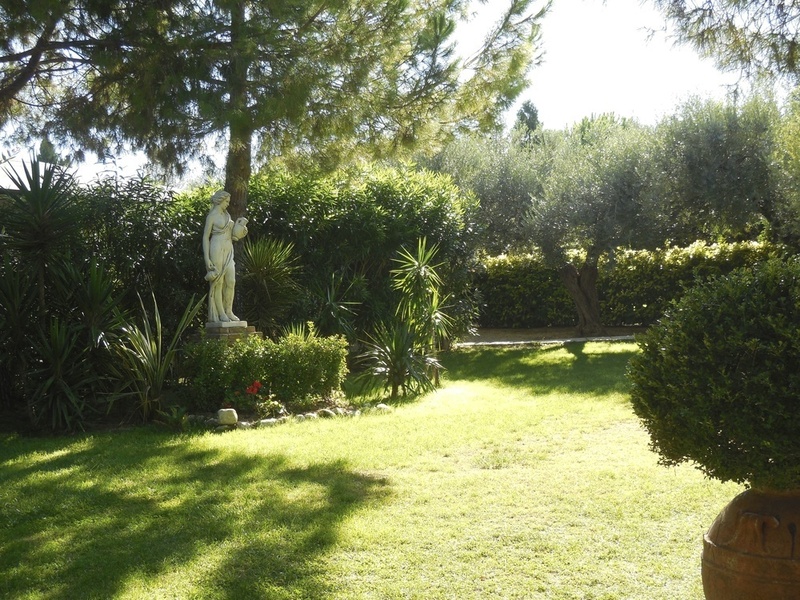 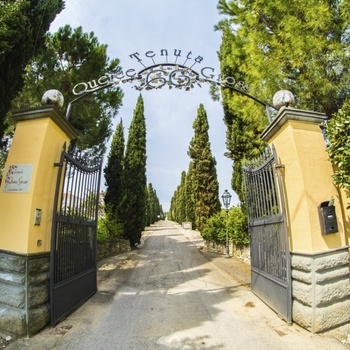 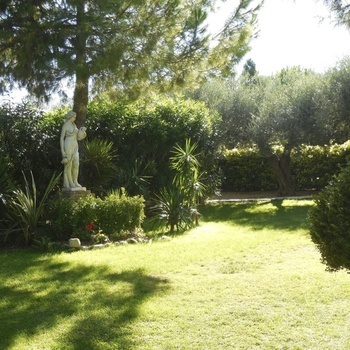 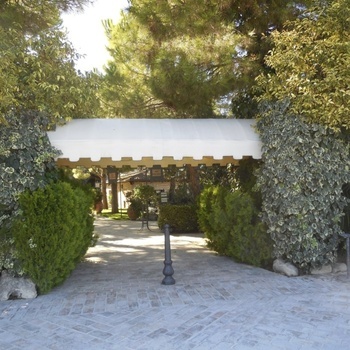 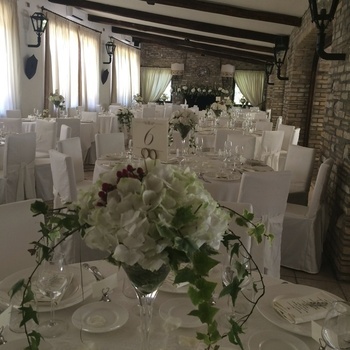 This lovely location is set in parkland surrounded by olive groves. 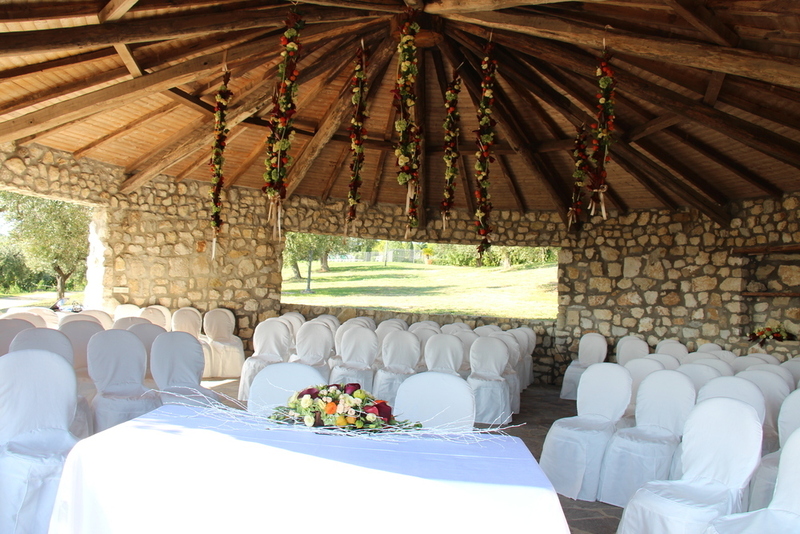 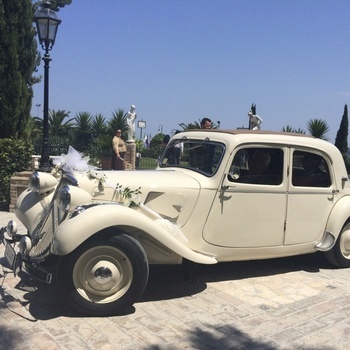 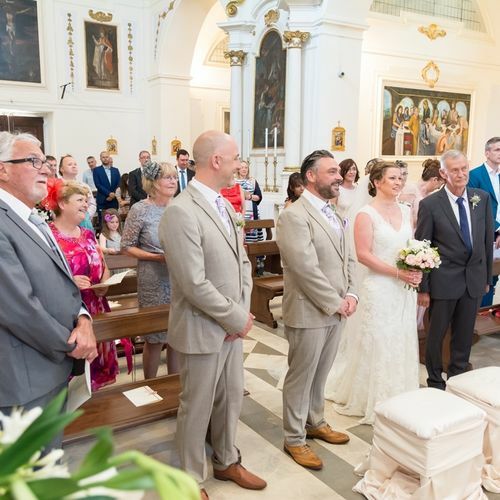 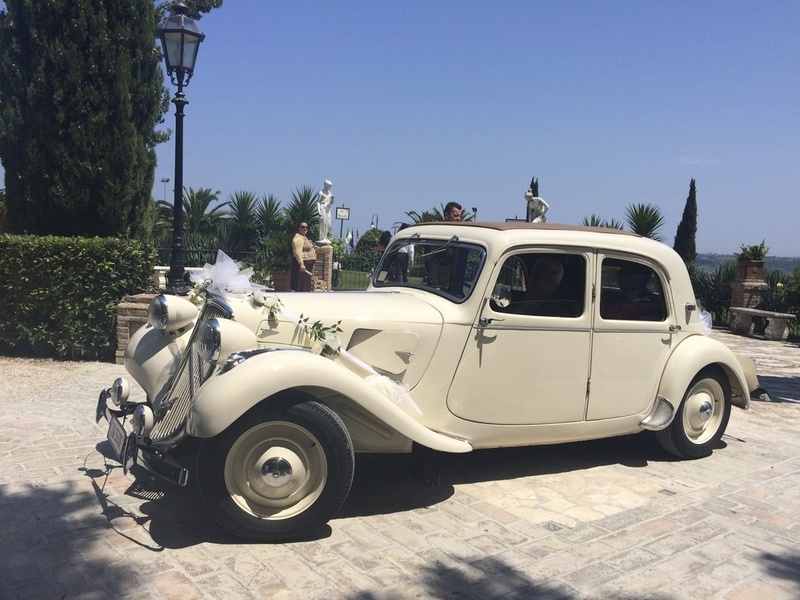 It has fabulous sea views and is licensed to perform civil wedding ceremonies. 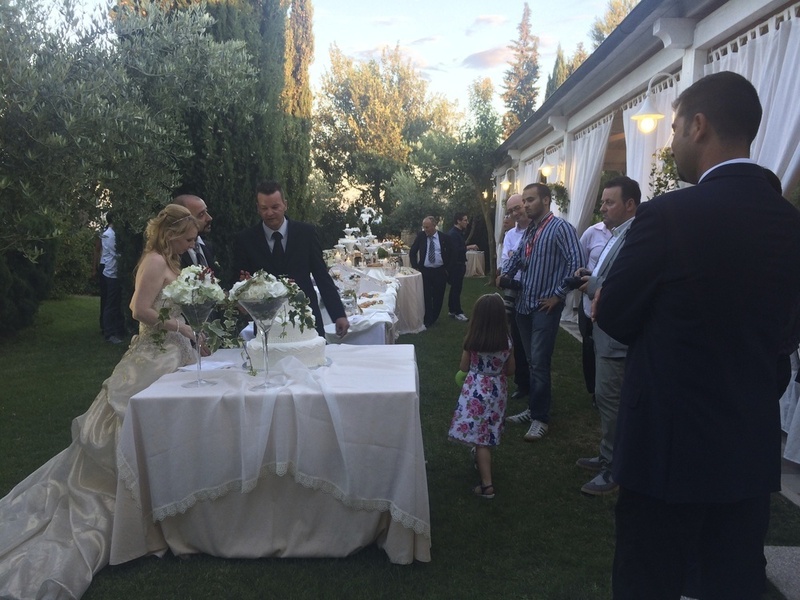 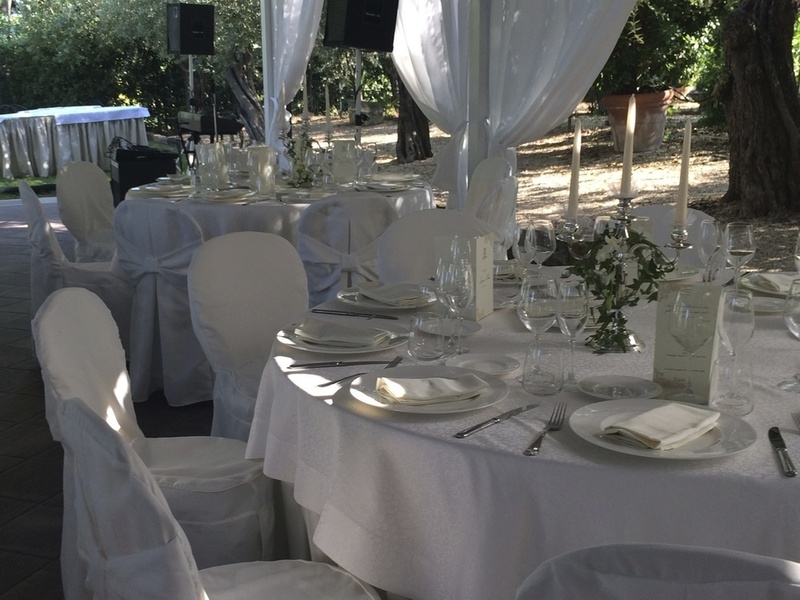 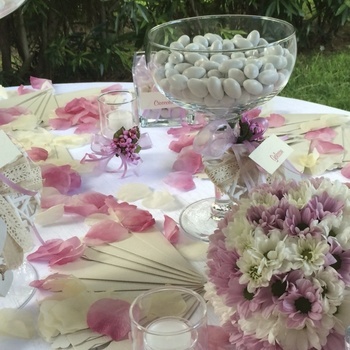 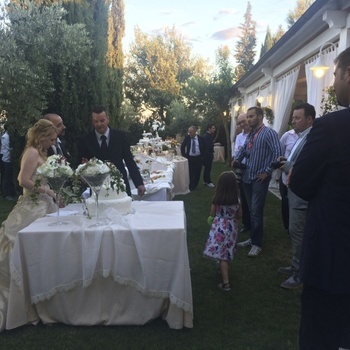 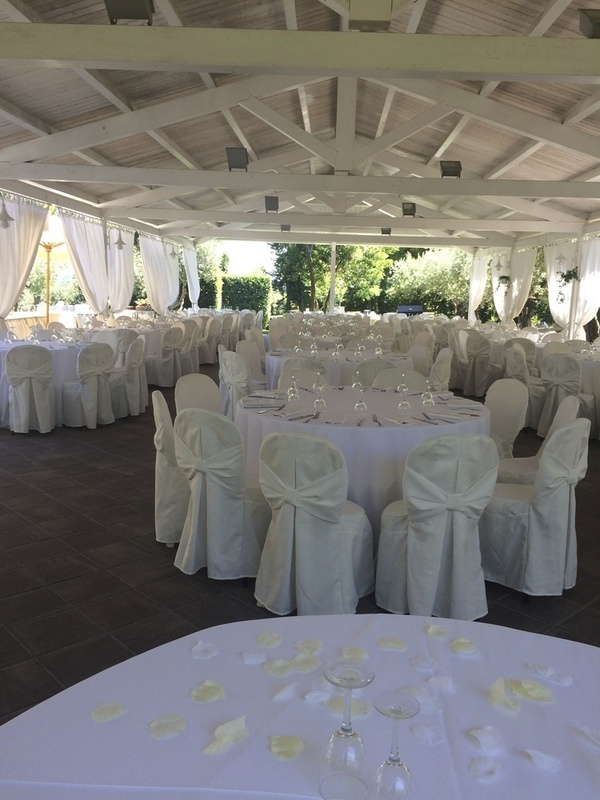 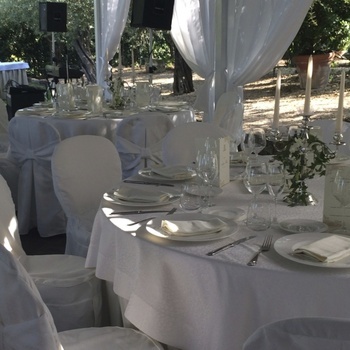 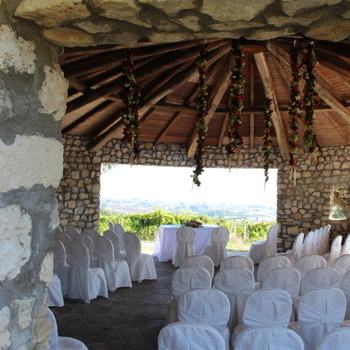 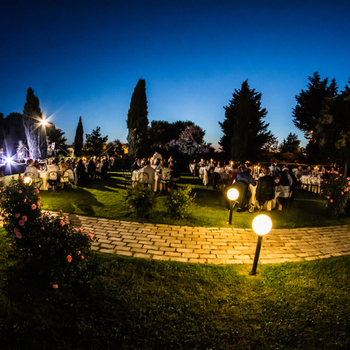 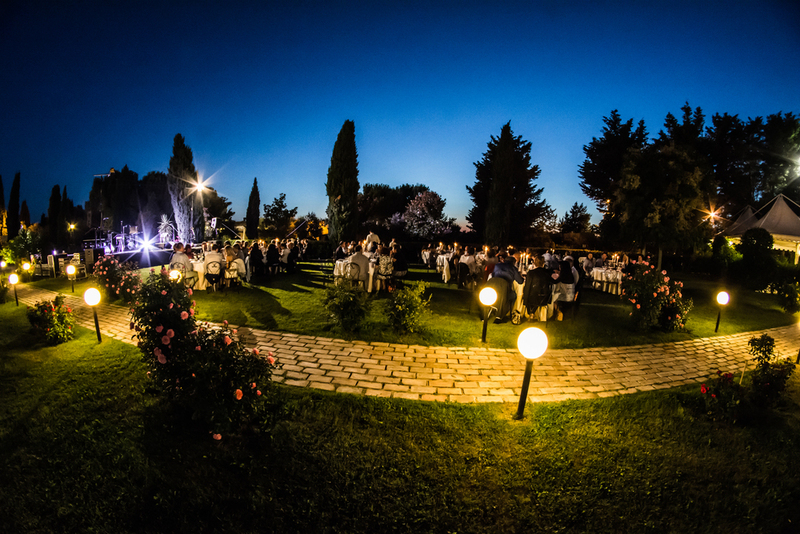 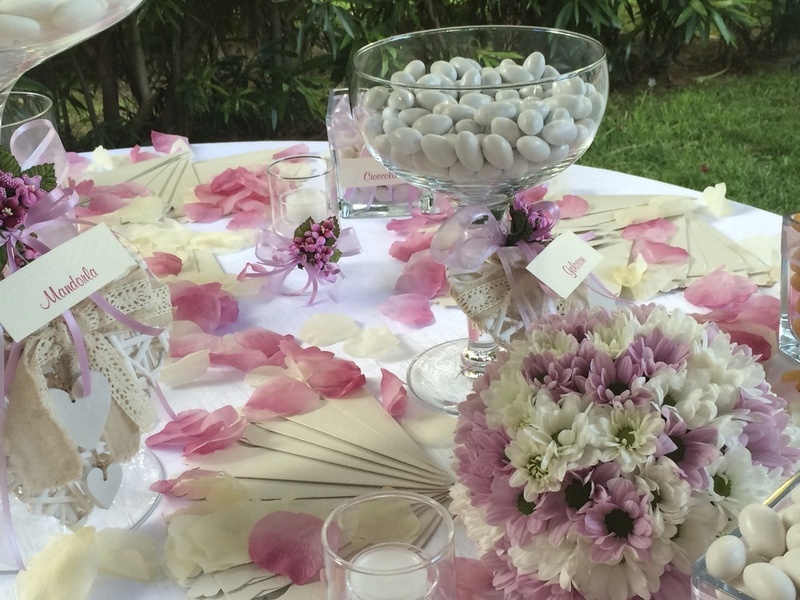 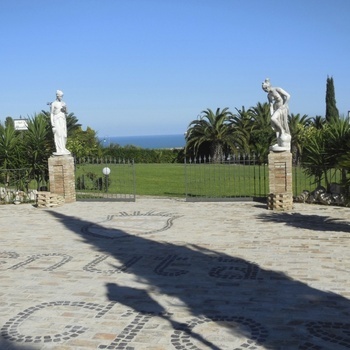 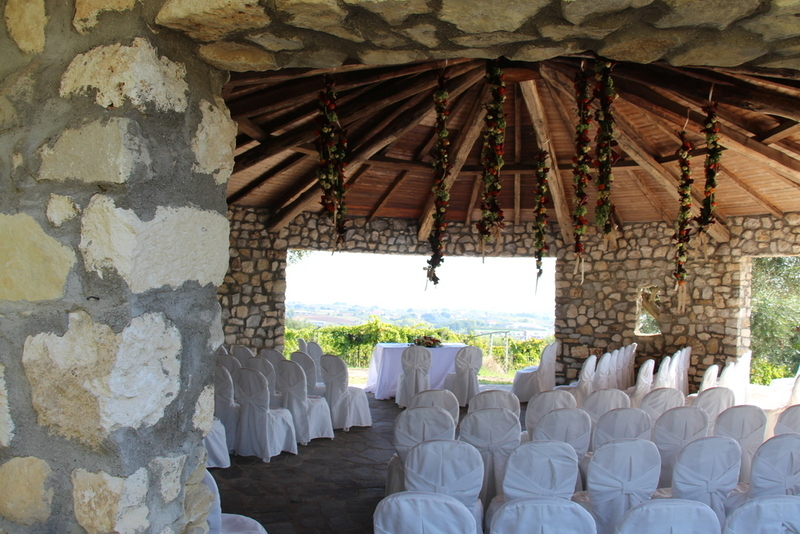 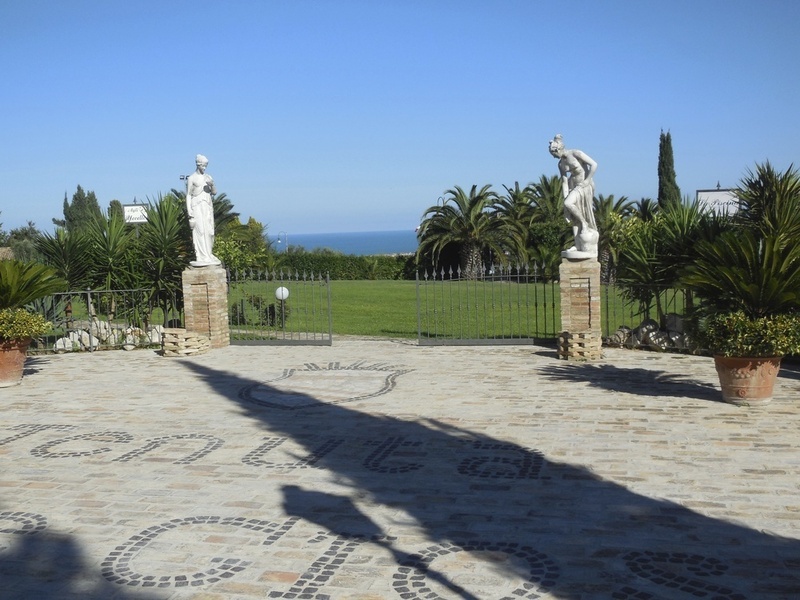 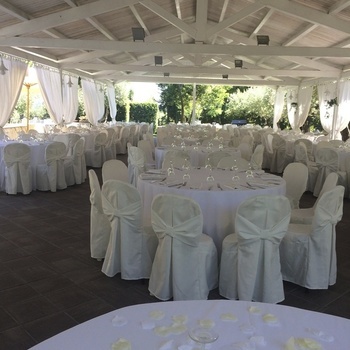 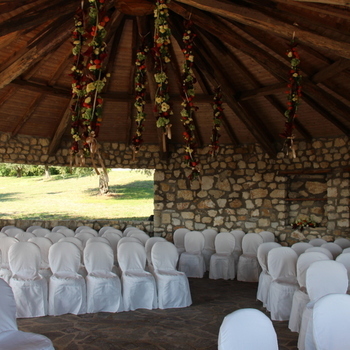 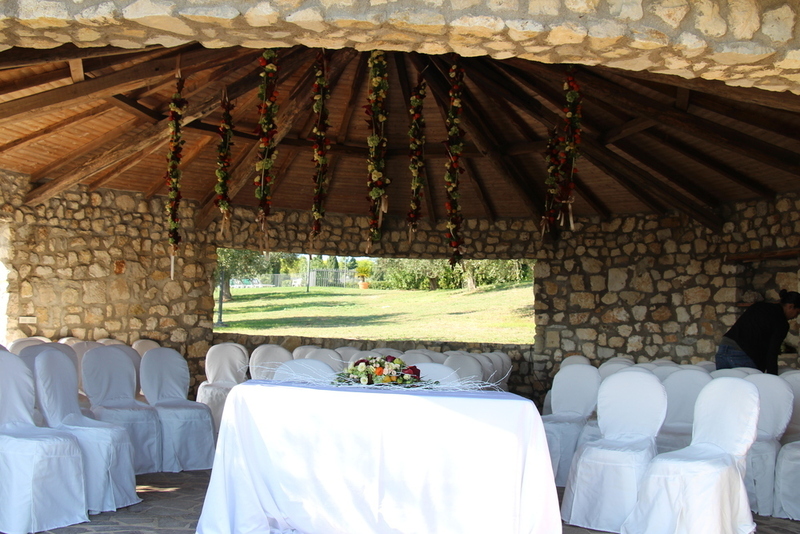 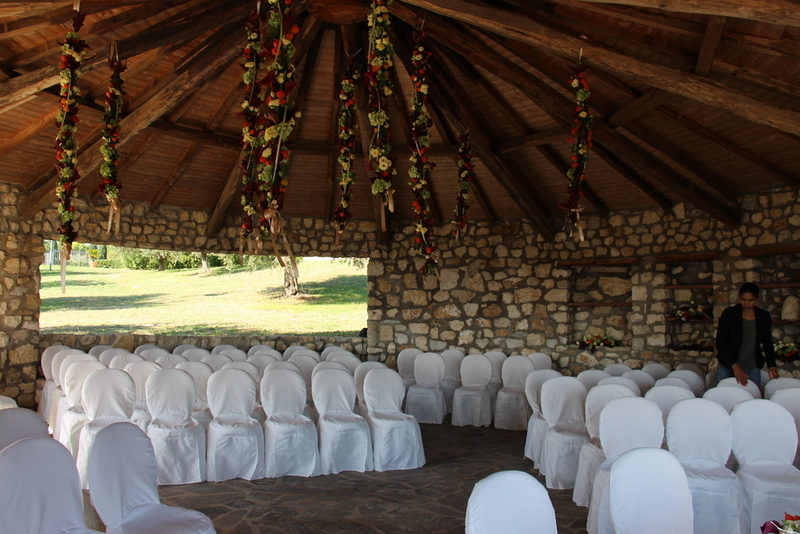 This means that you can have a legal wedding service in these beautiful Italian gardens. 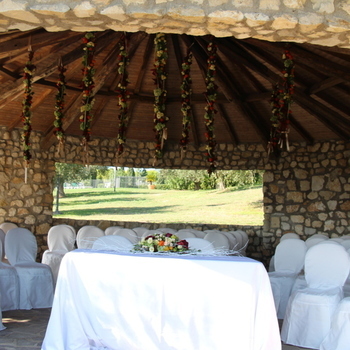 There is also lots of scope for a symbolic ceremony. 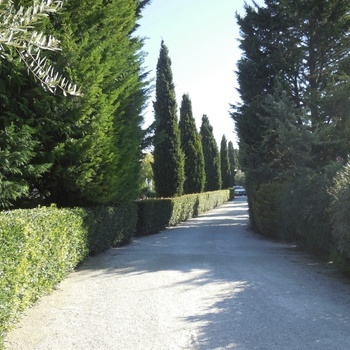 There is accommodation in the ten country style apartments on site with several excellent hotels offering a large number of rooms nearby. 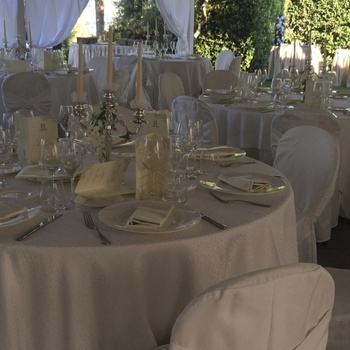 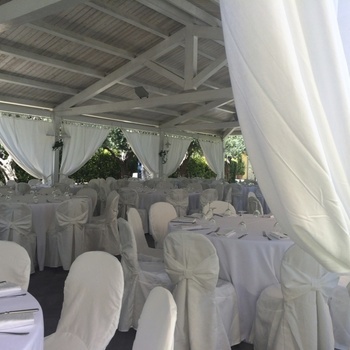 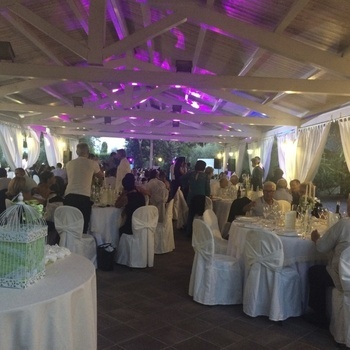 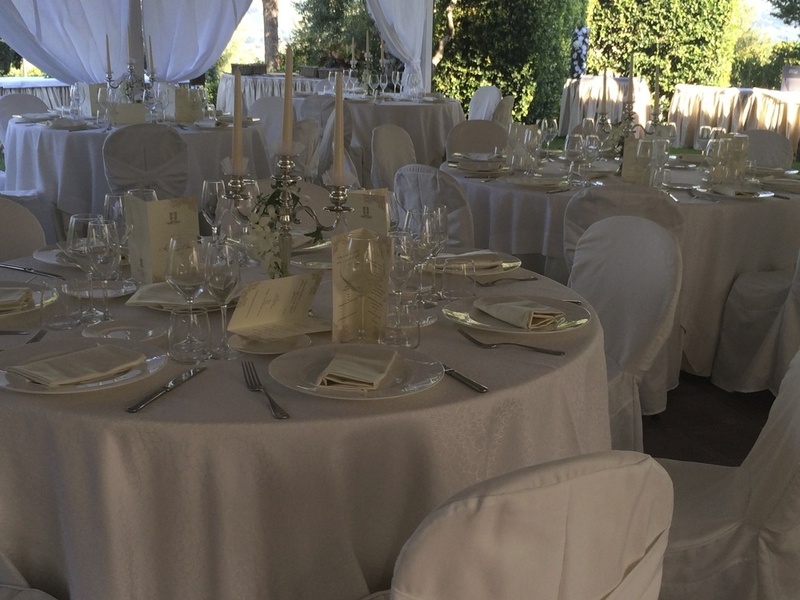 There are a number of indoor and outdoor spaces at this wedding location which are used throughout the day to create comfortable, elegant dining and to make the most of the sea views and beautiful lawns, olive trees and areas under attractive white wooden gazebos. 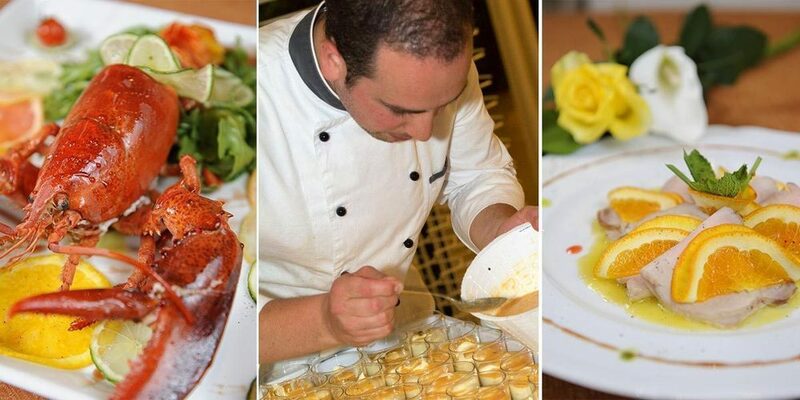 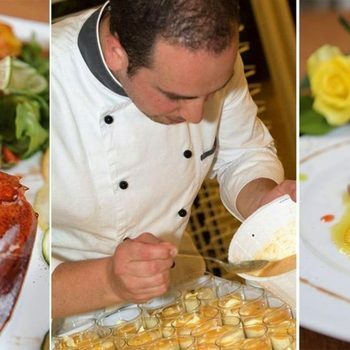 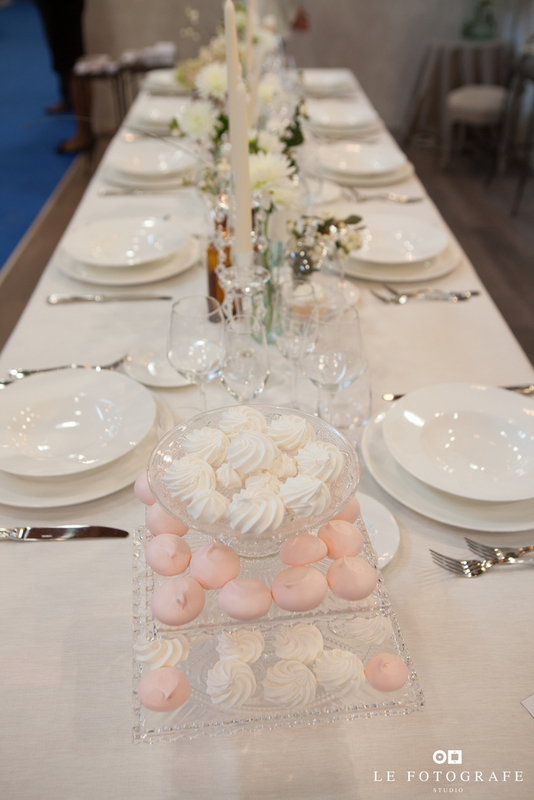 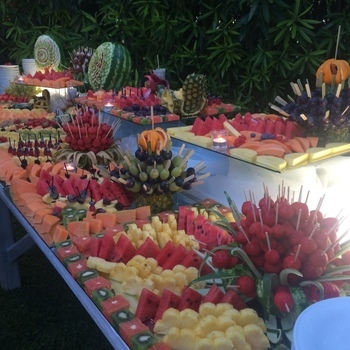 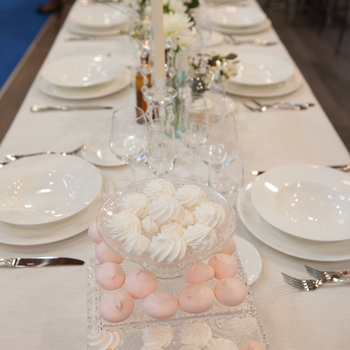 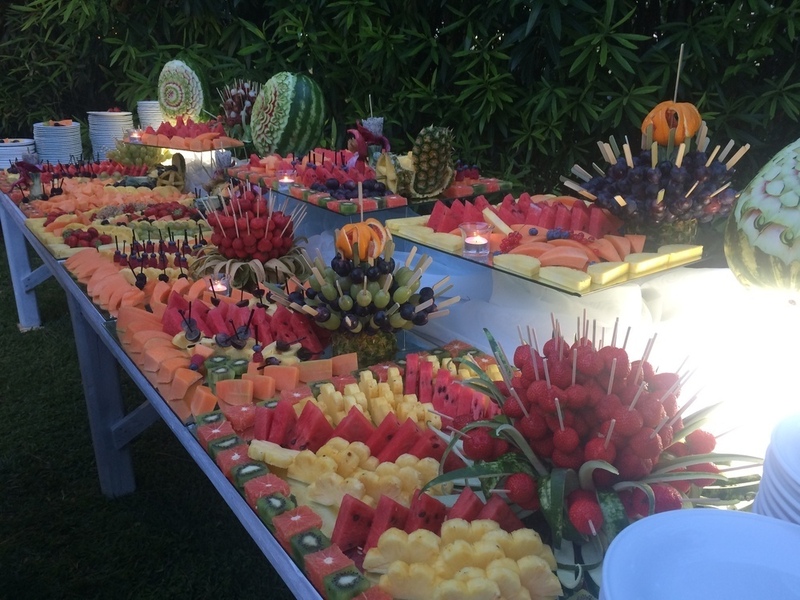 The standard of cuisine is very high and they create an impressive banquet starting with a buffet of starters with show cooking by the chef, followed by a sit down banquet of several courses, including wines. 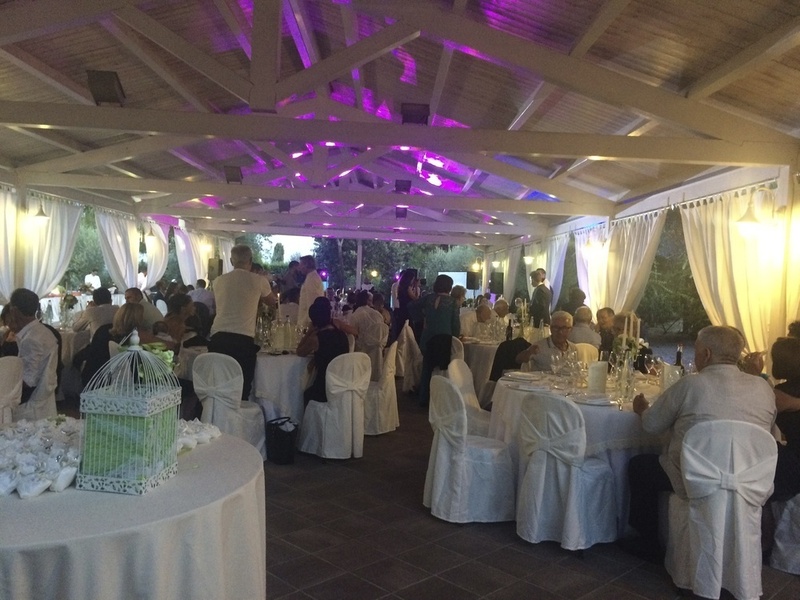 Obviously for the evening the party can take place outside with an open bar and music until late. 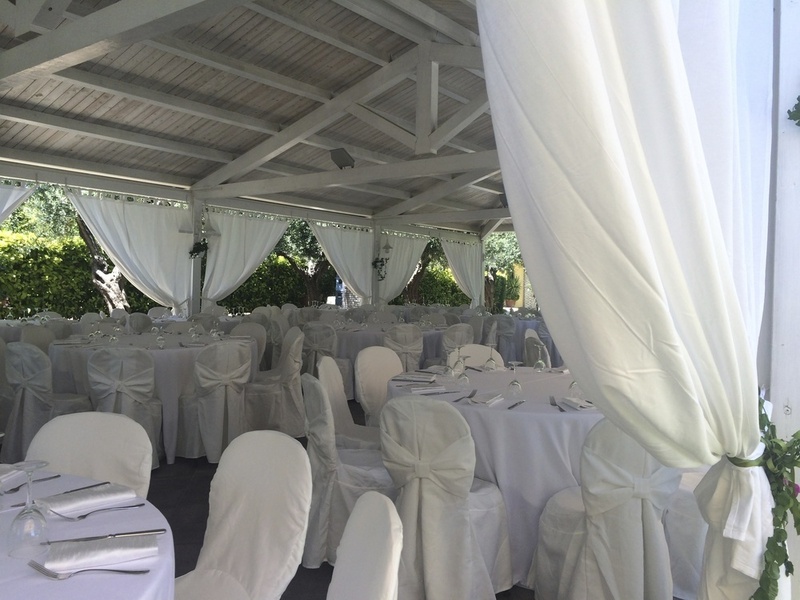 Suitable for groups of 40 to 200. 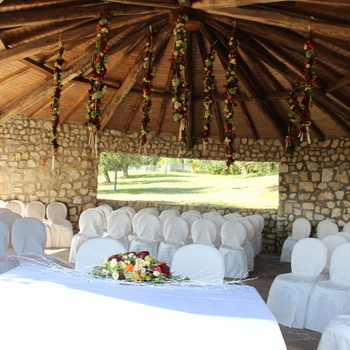 Civil or Symbolic ceremony on site. 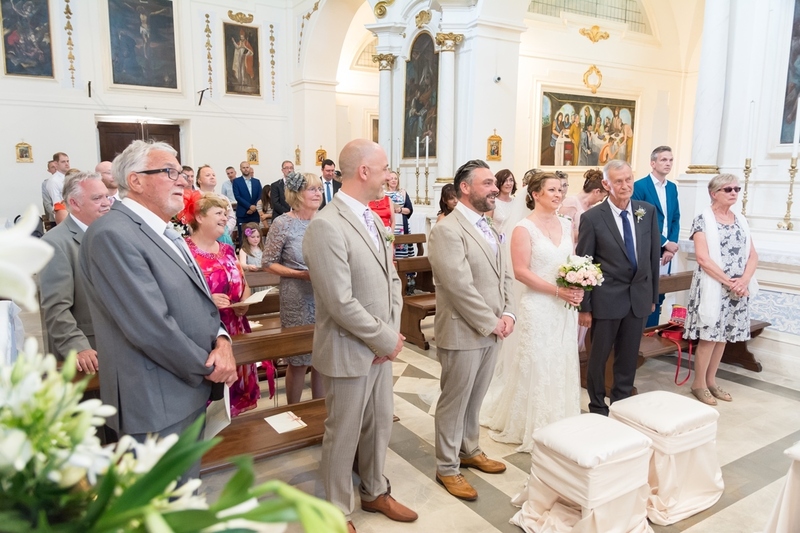 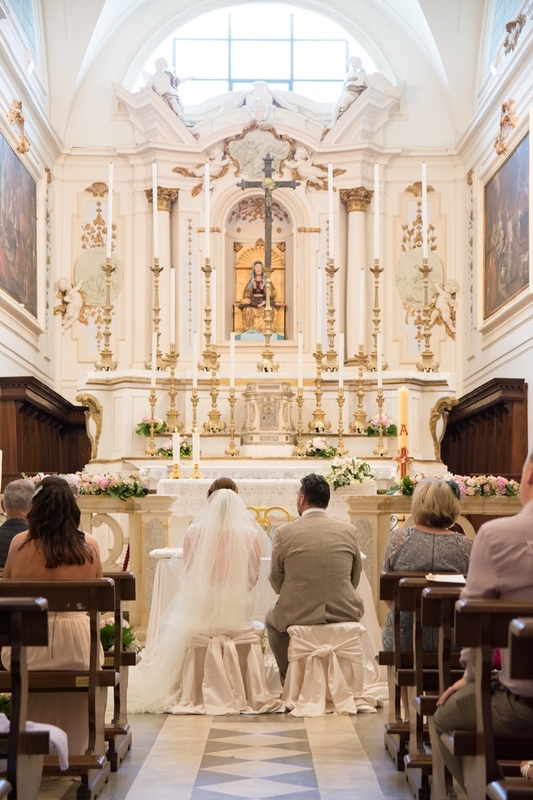 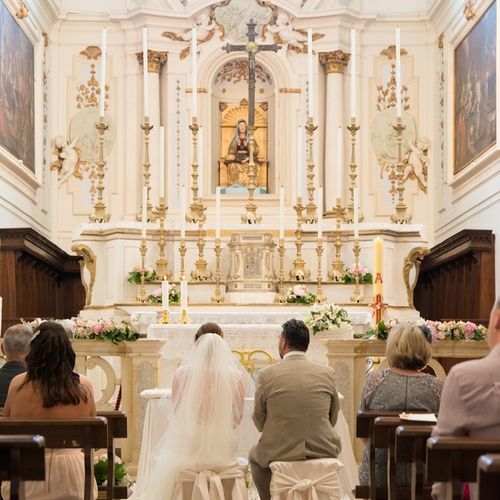 Lovely Catholic Church for ceremonies very close. 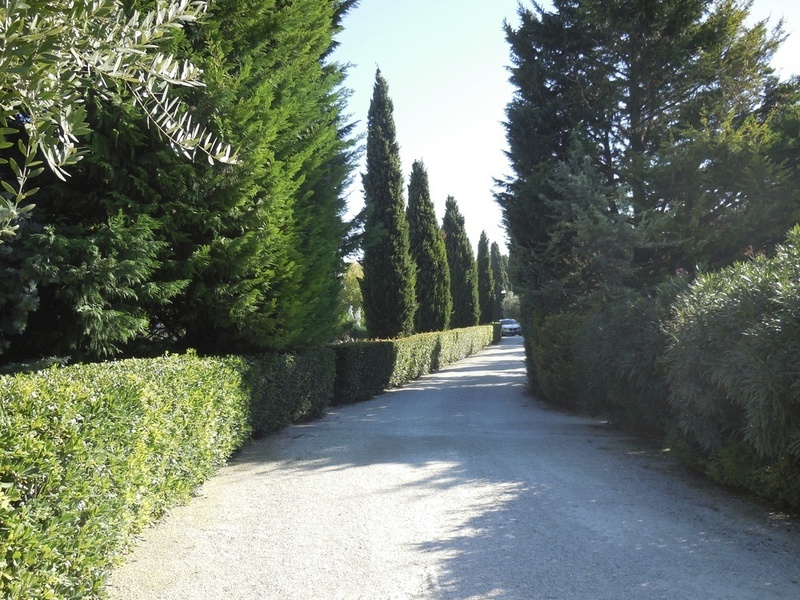 Accommodation for 30 on site with great hotels close by.